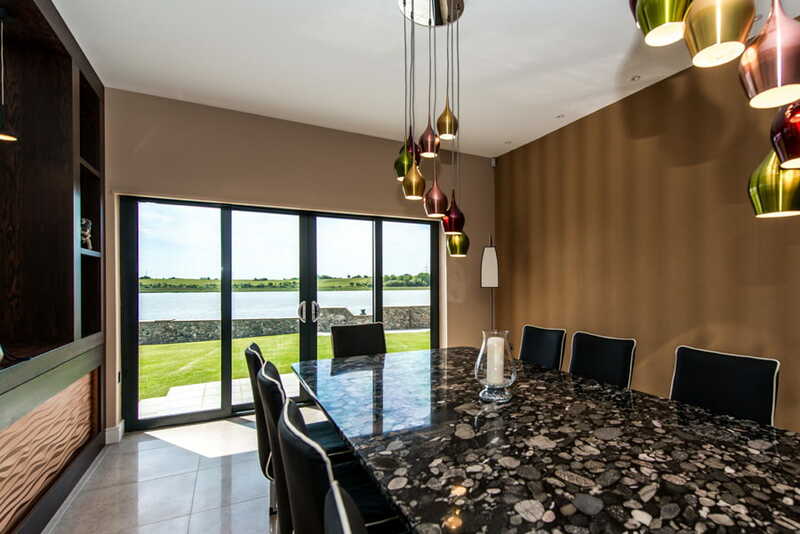 We supply and install a stunning range of aluminium sliding doors, providing endless benefits for your home. 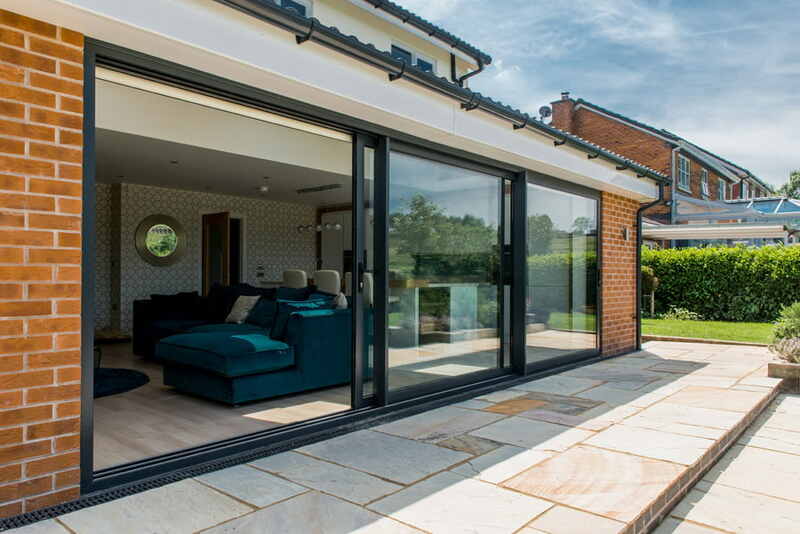 Our beautiful selection of sliding doors will transform your interiors while creating unparalleled views of your garden and outside spaces. 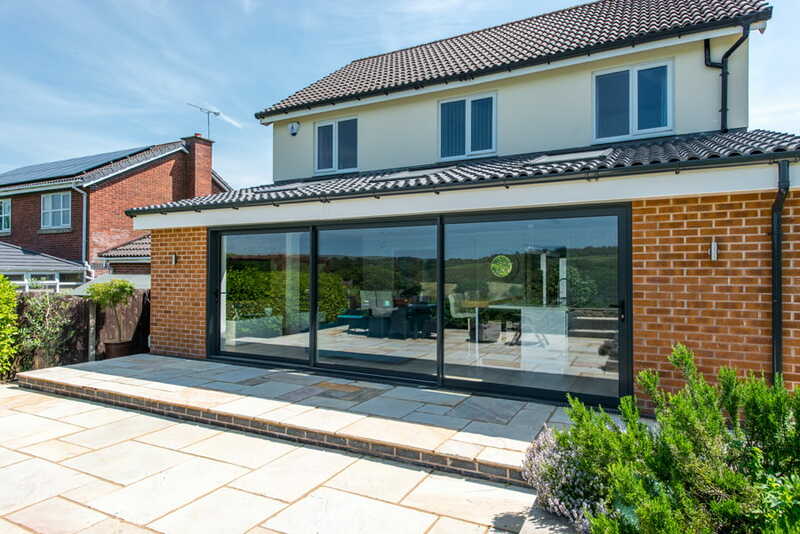 By combining slimline aluminium frames and expansive glazing, you can open up your rooms and let in maximum natural light. 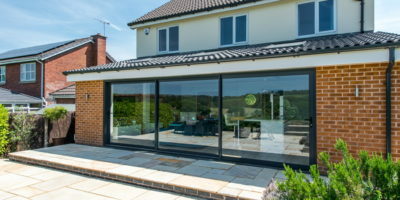 Could you improve your home with sliding doors? 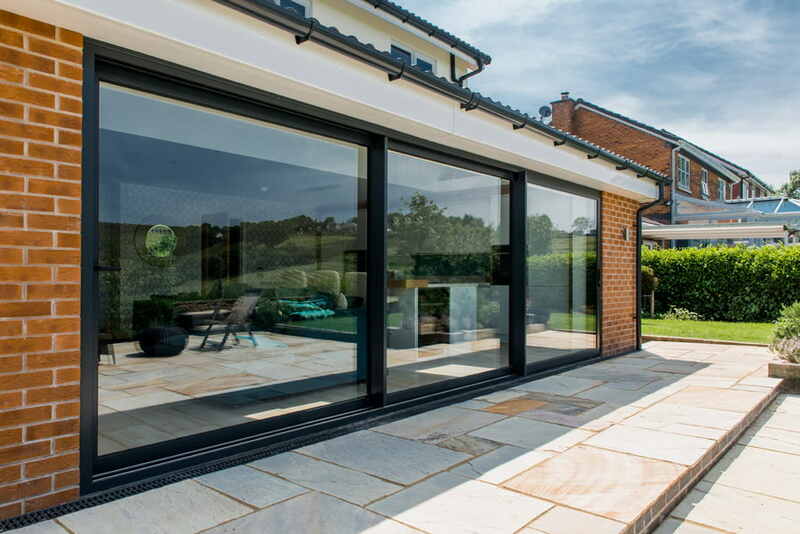 Our high quality aluminium sliding doors offer both attractive aesthetics and functional benefits for your home. 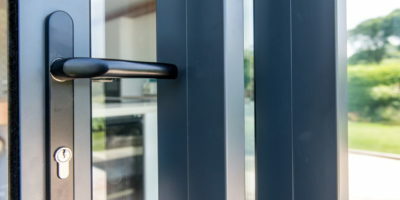 This means they not only create sleek, elegant looking finishes but provide increased security and energy efficiency too. 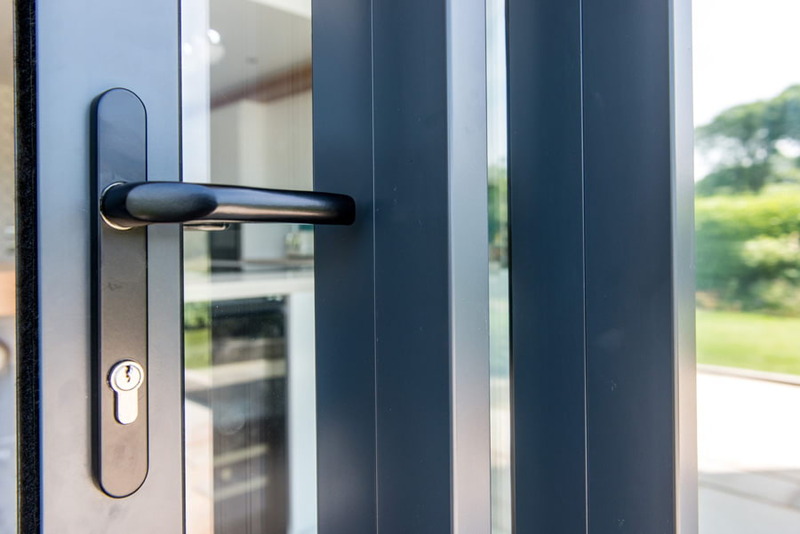 With an extensive range of bespoke options, choose from hundreds of RAL colours, high quality hardware and finishing effects to get the look you want. Add matching aluminium windows to complete the look. 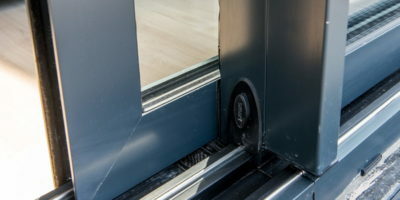 Why Should You Choose Sliding Doors? 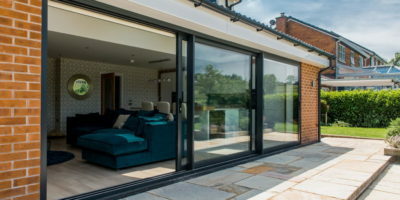 Sliding doors are the ideal choice for homes with wide opening spaces to outside areas, whether replacing old patio doors or building a new extension which leads out into the garden or decking area. 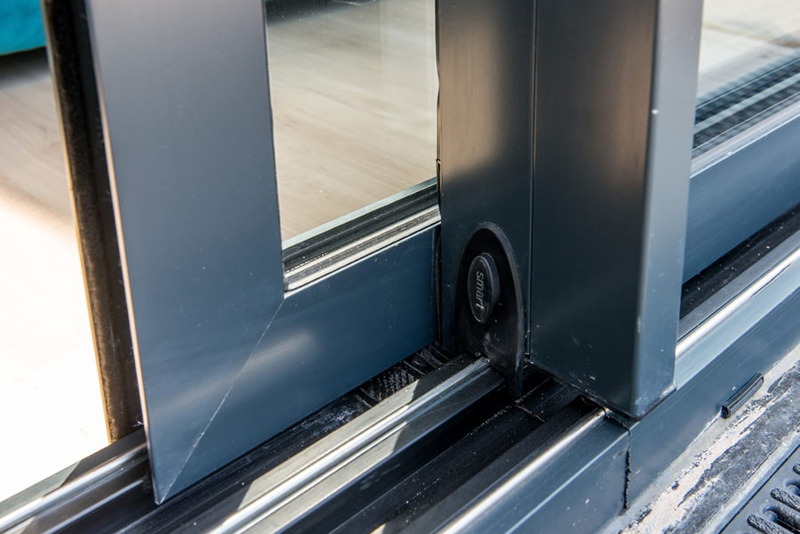 Schuco produces a premium range of German-engineered sliding doors. Their designs are of the highest quality, and they deliver some of the largest glass panels in the industry. 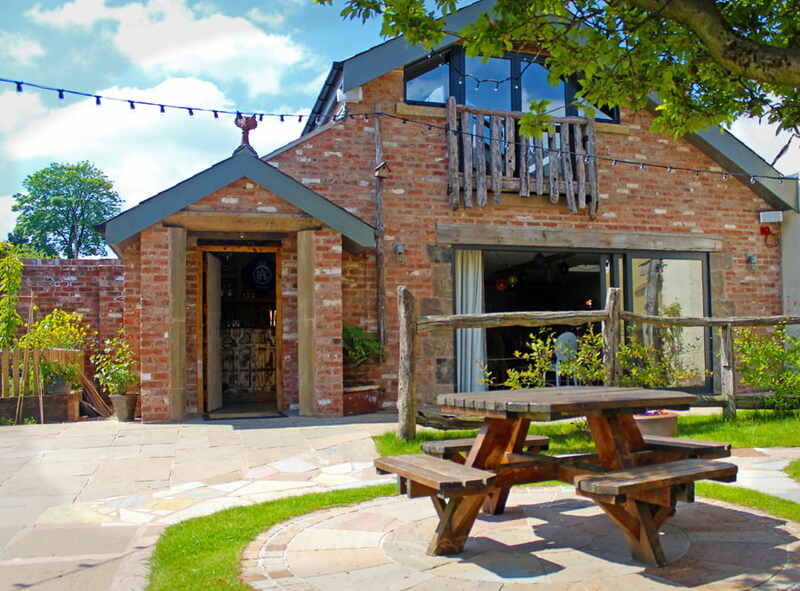 This allows homeowners and businesses to create an impressive, panoramic feel in their property with views virtually unobstructed thanks to narrow sightlines. All of their products are completely made to measure, fitting your spaces perfectly. 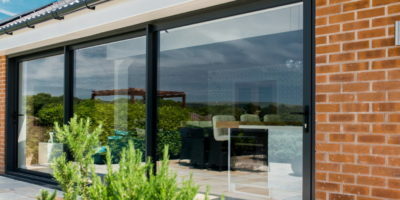 Their sliding door collection will add an elegant, luxury touch to both your interior spaces and outside of your home. 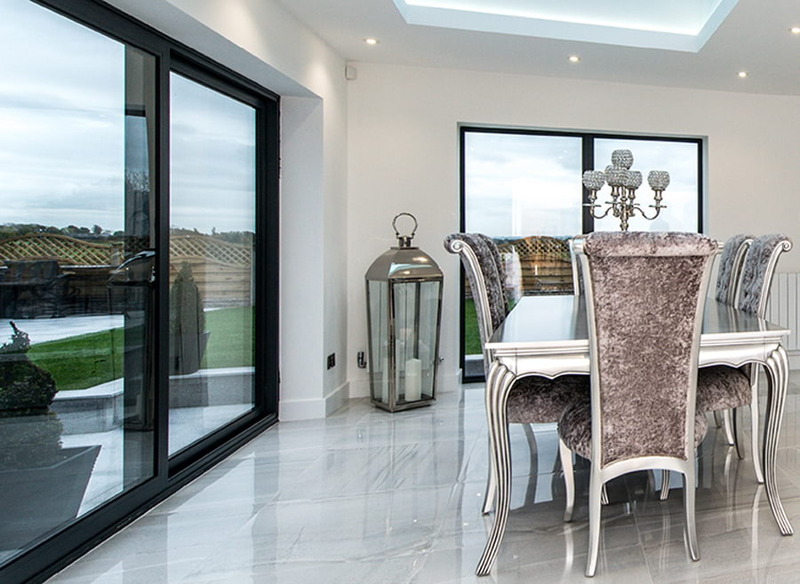 Smart Systems is one of the UK’s most reliable manufacturers of bespoke sliding doors. Their stunning aluminium collection gives you a wide range of options to customise the look both inside and out. 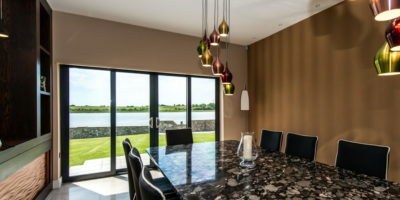 One of their most popular features is Smart sensations colours. These allow homeowners to choose textured finishes for the frames from an array of styles. 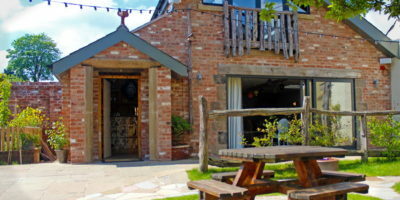 Their products provide thermal efficiency to keep your home warm, and there are an array of glazing options available. 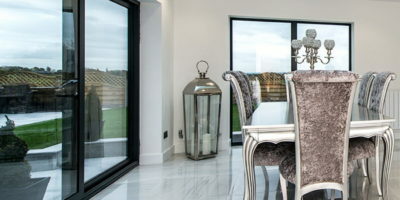 Here at Merton Windows, our specialists supply and install windows and doors in both residential and commercial properties across Surrey and London. 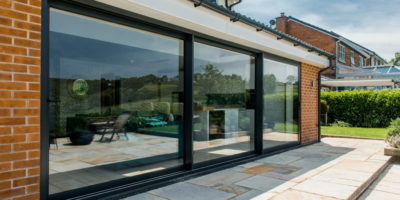 If you’d like a free, no obligation consultation and quotation for any of our sliding doors or other window and door products, get in touch on 020 8542 2233.